I absolutely love pesto, so much so that I have at it at least once a week. Whether it’s on a pizza, spread over a piece of sourdough, or mixed into pasta. Shamefully, I’ve never actually tried to make pesto myself, but when it’s so reasonable to buy (perhaps even cheaper than making it yourself? ), I think it’s okay! Maybe I’ll give it a go one day, but for now I’m happy with my jar of deliciousness. 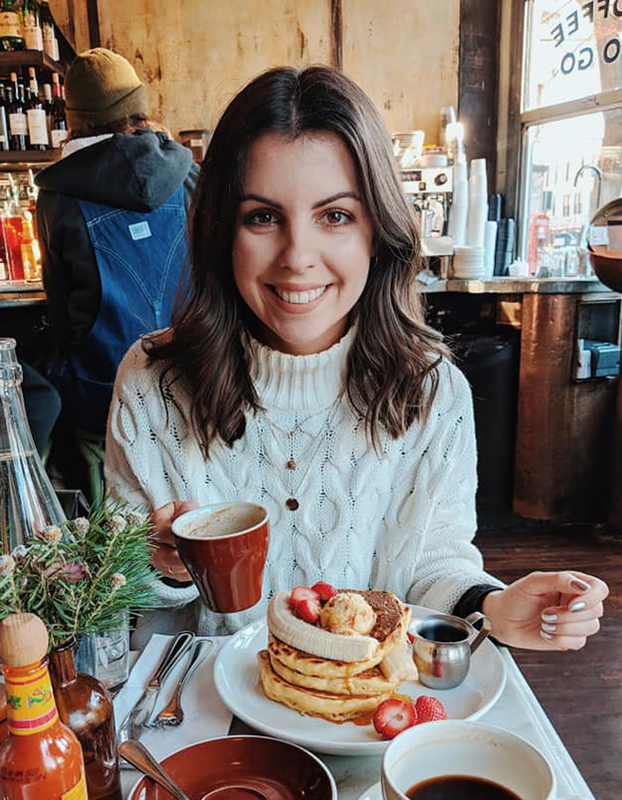 As we move into spring, I’ve been looking to change up my lunch options and I find pesto is a great transition from cold winter months to warmer spring days. 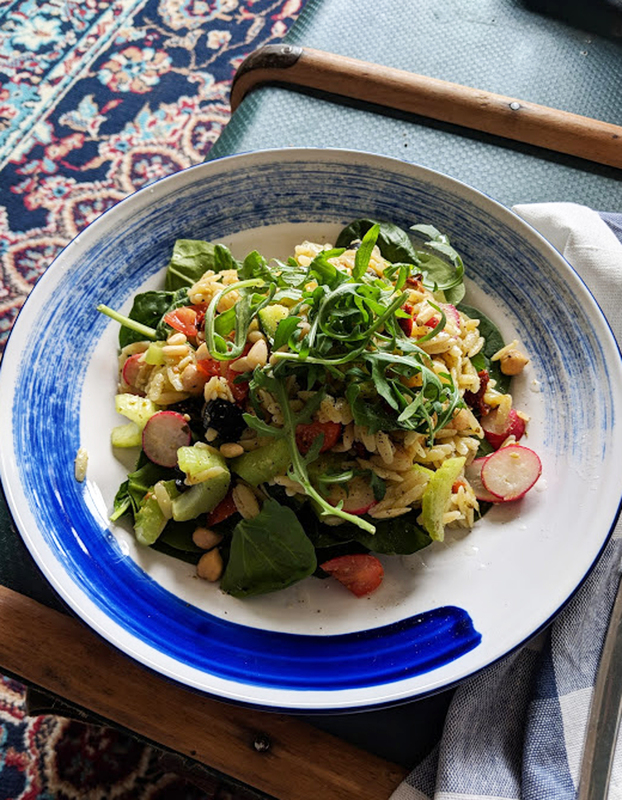 Whilst it’s salad, calling on Meditranean flavours with olives, sun-dried tomatoes and fresh basil, it still has a warming feel to it with the creamy pesto, crunchy pine nuts and homely orzo pasta. But enough talking about it, lets jump into the recipe! Of course, this is a rather simple recipe, more about bringing ingredients together, so you can easily swap out elements or add a few more. 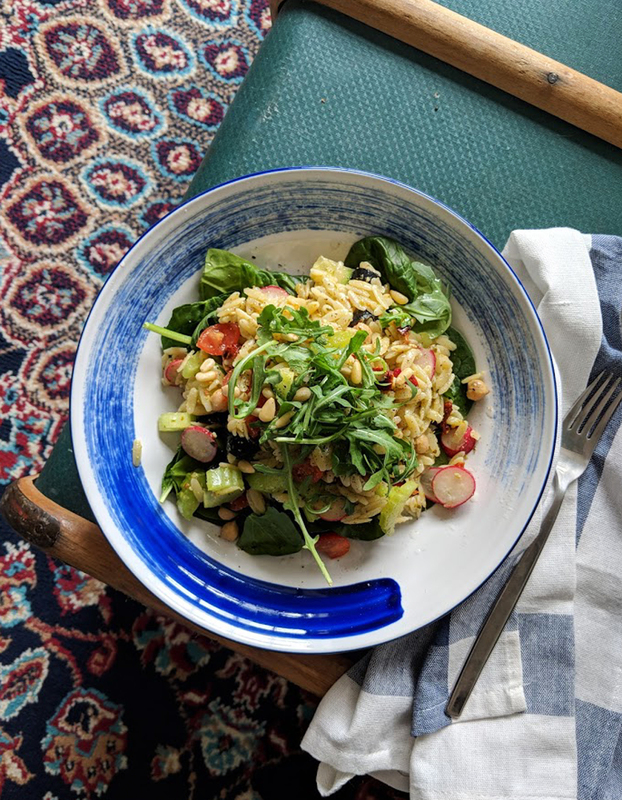 Place your orzo in a large saucepan, with plenty of water. Bring to the boil and simmer for 8-10 minutes, following packet instructions. Meanwhile, prep your salad by tossing your spinach, rocket, cucumber, tomatoes, celery, radishes, sun-dried tomatoes, olives and artichokes together. I didn’t add any olive oil on this occasion as the oil from the sun-dried tomatoes, olives and artichokes was enough. Drain the orzo and add the pesto. Mix thoroughly and add to your salad. Season with a little salt and lots of black pepper, and tear in some fresh basil leaves. Toss together. Serve in large bowls with a sprinkling of extra rocket on top, pine nuts and a little extra basil.